OVERLAND PARK, Kansas – November 15, 2017 – Bushnell, an industry leader in high-performance optical solutions, announces an enhanced level of precision and performance with a new Elite Tactical flagship riflescope – the XRS II. Delivery of precise rounds at extreme distances requires skills honed through rigorous practice. It also demands optics that are crafted to be precision tools. 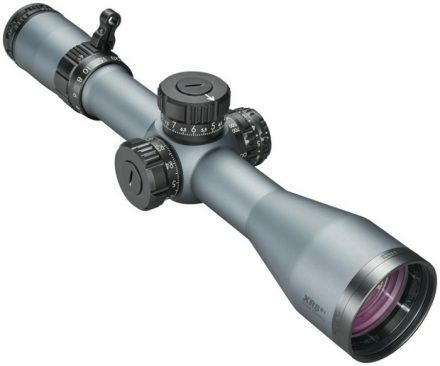 The XRS II is crafted to the most exacting standards to lead the Elite Tactical line of precision optics and perform at distances that were once unimaginable. Delivering stunning edge-to-edge clarity in any condition with ED Prime glass, plus an impressive 4.5-30x zoom and wide 50mm objective lens, the XRS II is purpose-built to easily acquire targets more than 1,000 yards distant. Water, fog, dust and debris are no match for the exclusive, patented, EXO Barrier protective lens coating. The XRS II comes with a removable Throw Lever for quick magnification changes and features a locking diopter that won’t budge. Available in grey, black and flat dark earth with the Bushnell exclusive G3 reticle, the XRS II is also available in Horus H59 reticle and TRMR3 reticle configurations. Bushnell, a Vista Outdoor brand, is one of the most recognizable and trusted names in precision hunting, tactical and recreational optics and accessories. For more information, visit bushnell.com/all-products/rifle-scopes/xrs-ii. This entry was posted on Thursday, November 16th, 2017 at 23:56	and is filed under Optics, Press Release. You can follow any responses to this entry through the RSS 2.0 feed. Both comments and pings are currently closed.